Air Costa is a regional airline based in Vijayawada (in Andhra Pradesh), and operates a fleet of Embraer Regional Jets. I've been fascinated by Embraer jets right from the time I saw them for the first time in 2009 - then operated by Paramount Airlines (another South India based airline). Paramount folded up later, while Embraer came back to the country with Air Costa. Air Costa flies 4 Embraer aircrafts, on a few niche routes. Their routes are more-or-less a monopoly for them, and they don't fly to Kochi yet. The nearest they flew to was Coimbatore. 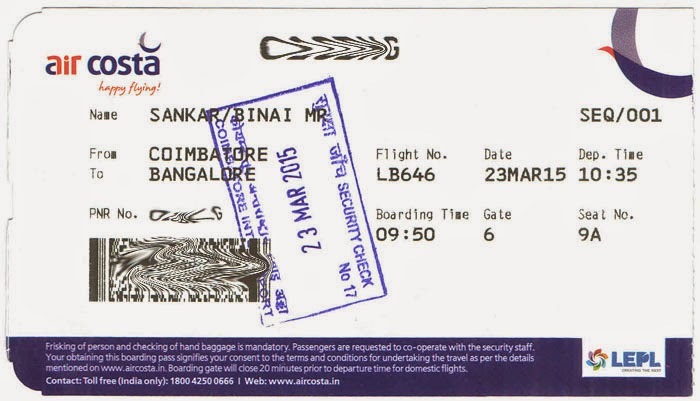 Sometime in the beginning of March, Air Costa came up with a Summer Sale - tickets were selling at Rs. 999. I decided to jump in, and booked a ticket from Coimbatore to Bangalore on a Monday morning. The Air Costa website is basic - but functional. It doesn't charge you any inConvenience fee - lets you select your seat as well. The confirmation arrived in my mailbox in no time. Then began the hunt for the outbound ticket. I finally flew Jet on the outbound (Read Here). It was one long day ahead. I got up at an unearthly 0230hrs, and had to leave home at 0330hrs. My dad had booked a cab, which came well before time. The driver was not aiming at an F1 competition, and drove very sanely. 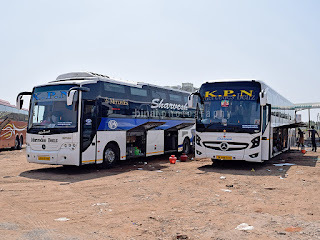 I was dropped at the KSRTC bus station in Thrissur around 0430hrs - the bus station resembled a war zone - with people running helter-skelter everywere. I did not want to risk waiting for a direct bus to Coimbatore, and instead aimed getting into a bus to Palakkad. I was successful, and even got the single seat at the front - the bus was heavily crowded, so badly crowded that the driver had to skip a couple of stops. 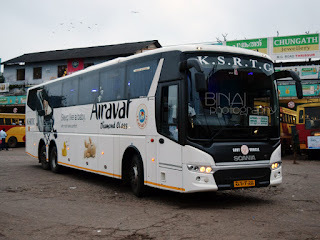 I was dropped in Palakkad about an hour and a half after we started (day time trips take more than 2 hours often) from Thrissur. 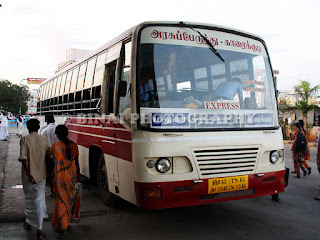 I took another bus from there to Coimbatore. I had a sumptuous breakfast from the famous Annapoorna in Coimbatore. After breakfast, I hired an auto to head to the airport - I could've hired a taxi for the rate the auto charged me. 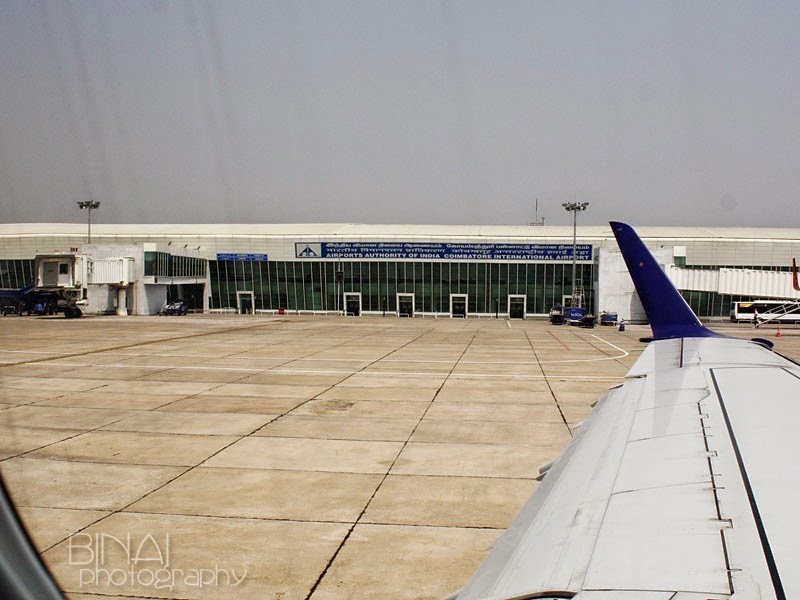 This was my first visit to Coimbatore Airport - in fact, I was born in the very city, and did my schooling there - but have never been to the airport. During my school days, the Airport was always believed to be far away from the city - but now the city has outgrown the airport area. 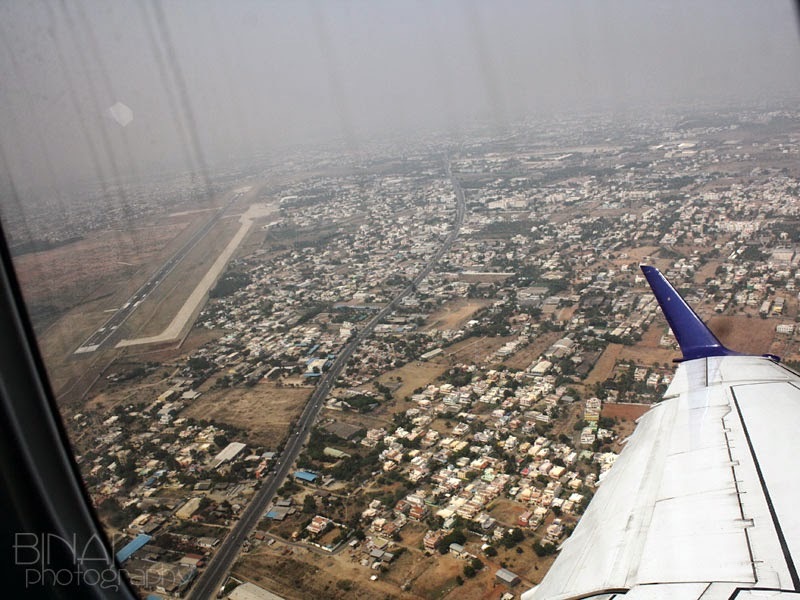 Coimbatore is the second biggest city in Tamil Nadu, and has a very sleepy airport. As a kid, I remember reading about Indian Airlines starting a flight to Sharjah - newspapers had celebrated the event back then. Long years have gone by, but the airport still remains small and has very limited international connectivity. 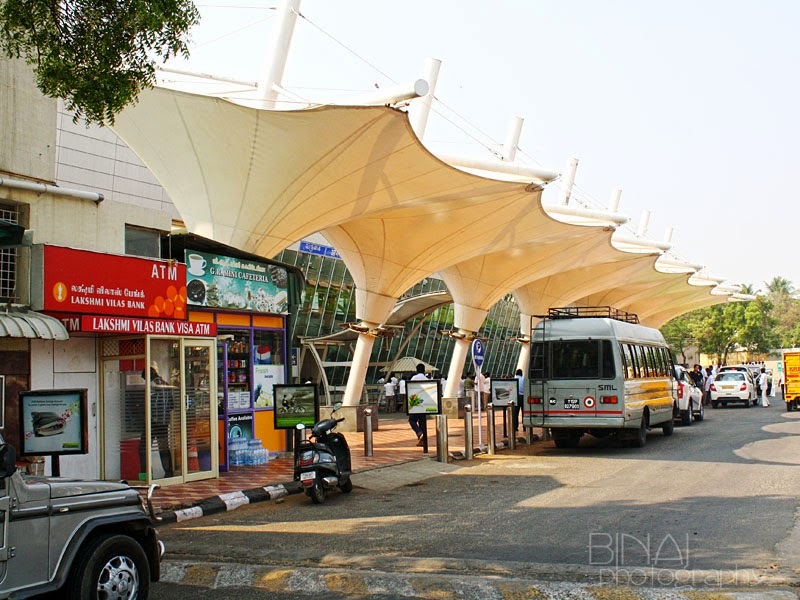 The airport is a typical AAI airport - the characteristic glass facade, with some fancy looking shades in the front. I did not explore the airport in detail - but there is a newer terminal at the airport. The domestic departures function at the old terminal. There is a single entry gate to the terminal, and that was quite crowded as well. A Tamil Nadu state minister was flying that day, and hence there was a lot of party workers and cops around - the entry to the terminal was partially blocked by the crowd. I was in no hurry - and hence waited for the crowd to settle. One gets welcomed to the airport with two baggage scanners - like every AAI airport. 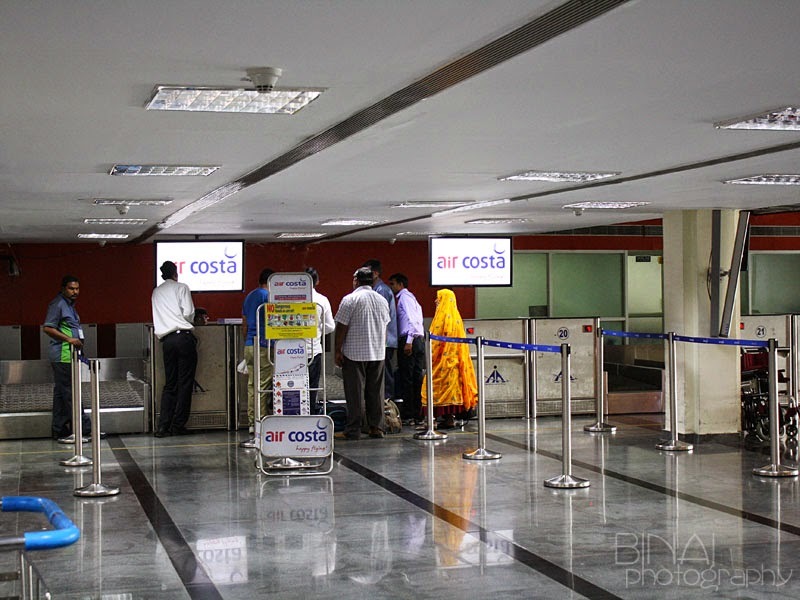 The check-in counters for Air Costa was located far inside the terminal - in a very claustrophobic place, where the roof was very low. Its right next to the security check area. I had already checked-in online and even bagged 'SEQ/1' - meaning I was the first passenger to check-in for the particular flight. I got my boarding pass from the very empty check-in counter by 0932 and headed for security check. Security check was deserted as well - there were 3 frisking booths, but only one scanner. The Air Costa check-in counter. I cleared security by 0941 and headed to the security hold. The security hold on the lower level was hot - either the AC was malfunctioning or the AC coverage wasn't appropriate. It was really hot out there. The security hold had a few shops around - including the famous Sri Krishna Sweets. There were five gates in the lower level - I guess the same area gets used for international departures too. My boarding pass said I should be boarding from Gate #6, which is a Jetway gate on the upper level. 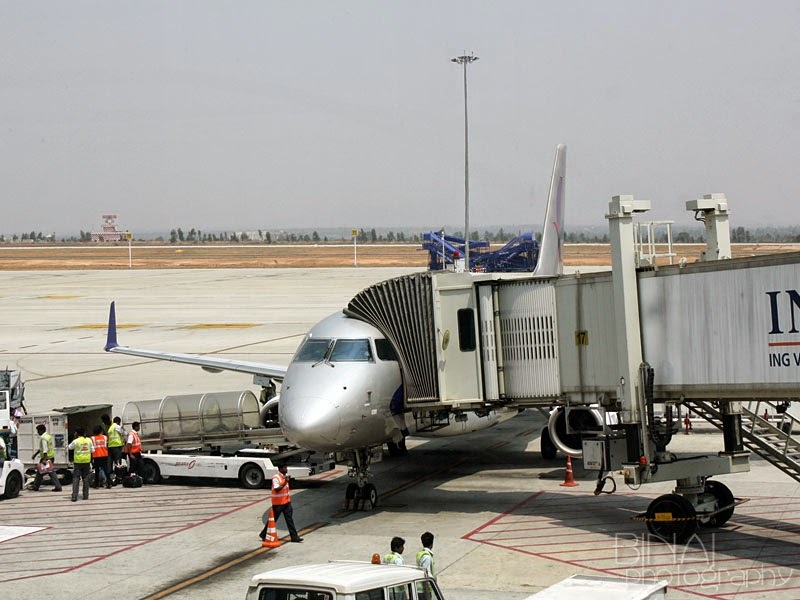 Coimbatore has two Jetway gates - Gate #6 & #7. I had a lot of time to spend, and decided to remain in the lower level itself. While at the security hold, I saw Air Costa's VT-LNR taking off to Hyderabad, while Indigo's VT-IFO to Chennai/Kolkata was occupying Gate #7. Indigo left sometime past 1005hrs (not sure of the exact time). Around the same time, an announcement was made that boarding for my flight was shifted to Gate #7 instead of #6. I decided to head to the upper level soon after this announcement was made. The upper level has a small waiting area, followed by the access to the Jetways at a higher level. The Jetways clearly look like an addition to a very conventional structure that remained earlier. The addition is part of the new "expansion" done on the terminal. The arrivals are handled entirely in the new terminal. I decided to wait near the gate. 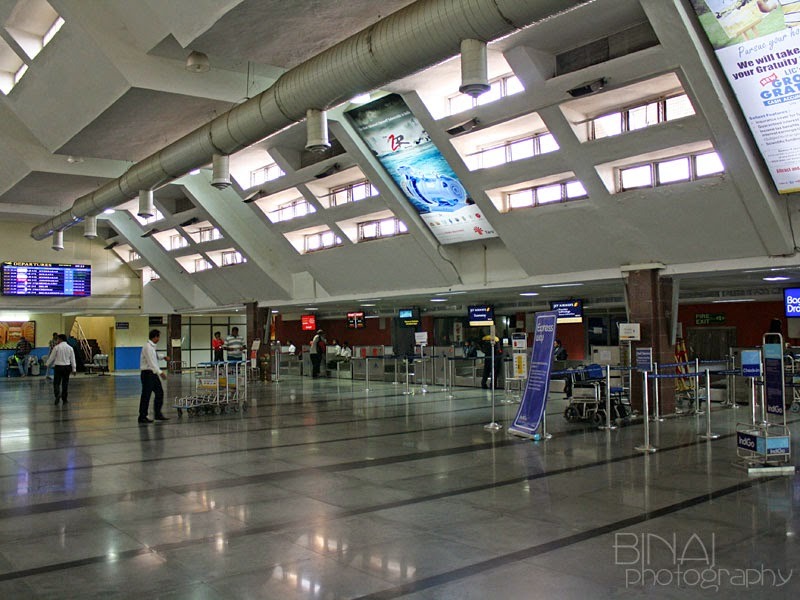 Unlike other AAI terminals, Arrivals and departures aren't vertically separated here - both the arriving passengers and the departing passengers are on the same floor - a partition diverts the incoming passengers to the arrival hall, while the departing passengers remain in the waiting area. The aircraft came in at around 1010hrs - the aircraft was delayed - and I was a bit worried if we'd be late. In the meantime, Jet Airways kept announcing delay of their incoming aircraft and added that the departure to Bengaluru would be consequently delayed. Incoming aircraft appeared to have fairly decent loads going by the number of passengers coming out. In the meantime, SpiceJet's VT-SGX also came in - this aircraft was to fly to Chennai from CJB. Due to this arrival, our boarding was held up for some time Around 1018hrs, the first boarding call was made. A long line had already formed by the time the boarding call was made - I remained aside and waited till the tail of the queue then. I was inside the aircraft by 1022hrs (all thanks to a gap in the queue). Cabin attendants welcomed each passenger, and they were available to guide passengers to their seats as well. The front section has 7 seats in "premium economy" followed by 60 seats in "economy". The aircraft has 2*2 seating pattern in Economy. The aircraft feels very airy, all thanks to the bigger windows. However, the seating layout ensures that window seats do not have proper access to the windows - almost all the seats were actually "windowless window" seats - one has to strain back or forth to get a view out of the window. The seats were all in green colour soft leather upholstery - the interiors looked very plush. The SpiceJet B738 heading to Chennai. The ATC Tower can be seen behind. 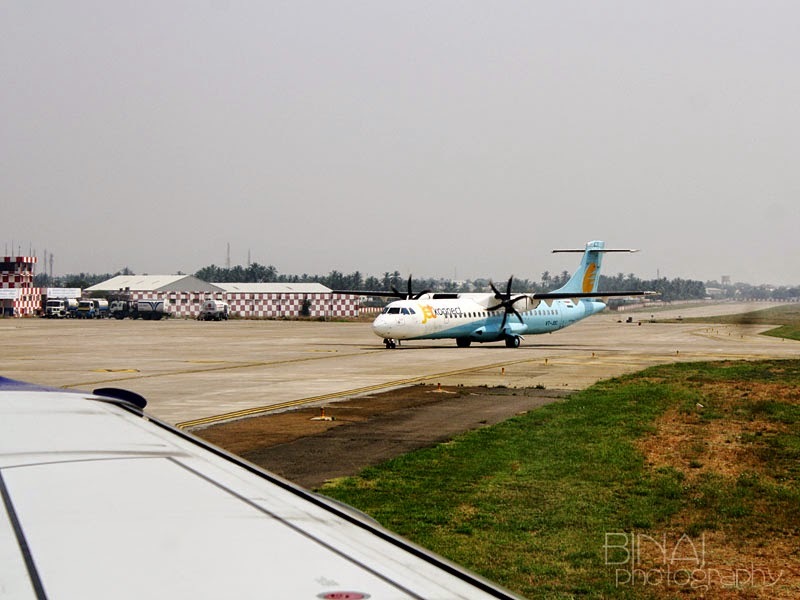 Jet Airways' ATR-72 VT-JDC entering the apron. She is inbound from BLR. Boarding was completed by 1031hrs and doors armed. We were pushed back at 1034hrs - a minute before scheduled departure time. Soon after pushback, safety demonstration began. In command was Capt Darius (I did not get the clearly), First Officer Manoj and in the cabin were Sukumar (the purser), Suhaira and Monica. 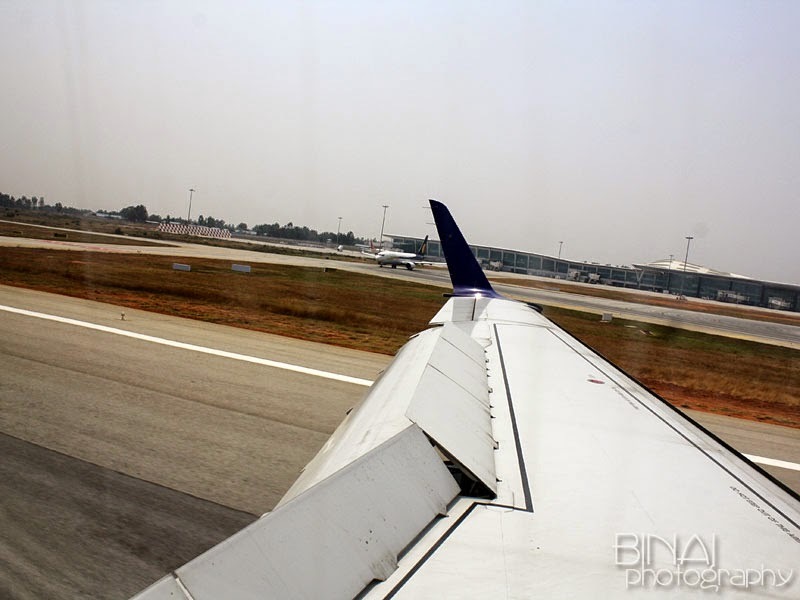 We had to wait for a long time after being pushed back since a Jet Airways ATR had to clear the runway. We began taxi at 1041hrs, just as Jet Airways' VT-JDC, coming in from Bengaluru, cleared the runway and entered the apron. We entered the runway, turned right and taxi'd to the 05 end of the 05-23 Runway. The aircraft then turned around, and aligned to take off. We finally took off at 1045hrs from Rwy05. It was a beautiful lift-off followed by a sharp left bank - giving a marvellous view of the airport we just took off from. The beautiful bank after lift-off. Thats CJB airport on the left. The windows were dirty. Thats the Veg Sandwich, with a serving of Water. 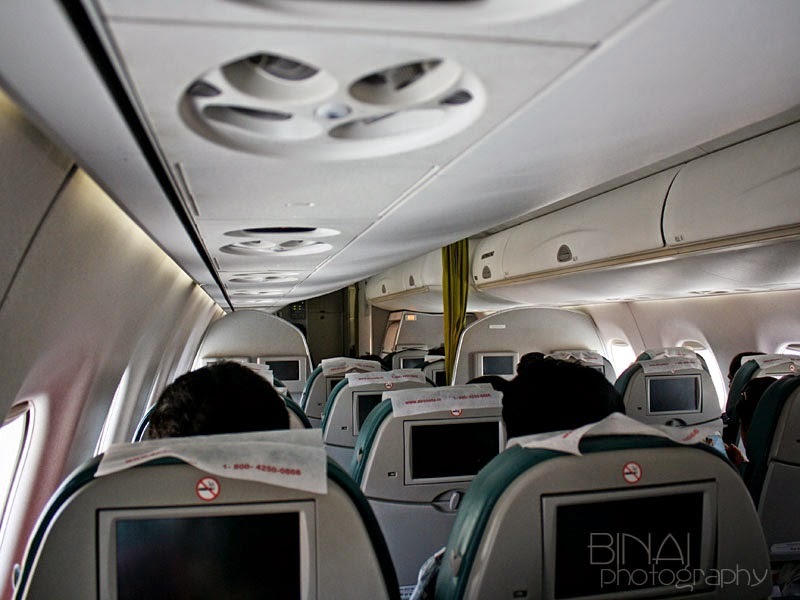 Seatbelt signs were turned off at 1050hrs, and on-board sales commenced immediately. From what I understood, it was Buy-on-Board at the front cabin as well. The appeared to be making good sales on board - options were the typical LCC style, more similar to Indigo than AirAsia. I decided to try a Veg. Sandwich - this one cost me Rs. 170. They used brown bread, and the filling was made of masala gravy with assorted vegetables (mainly French beans, Carrot and Potatoes). I requested for a serving of water as well. The bread was a bit dry, and the filling was too much of Masala to my liking. It appears that the catering was loaded from their base station in Vijayawada itself. Being a very short sector, they had to hurry a bit with the service. A very quick round of clearing followed. Landing announcement was made at 1104, and the seatbelt signs were turned on simultaneously. There was fairly good turbulence as were preparing to land - the aircraft shook violently. In the meantime, I was busy trying to figure out our approach path - the approach did not seem similar to me and I was right - we were to land on Rwy27. I've always landed on this runway at night - this was my first time during the day. We were soon on the landing approach. We finally touched down on Rwy27 at 1121hrs. We finally parked at a Jetway stand at 1126hrs. Interestingly, the E190s (Air Costa has two of them) usually get remote bays and the smaller E170s get jetways! As soon as the aircraft stopped, people quickly sprung out of their seats and started crowding the aisle. 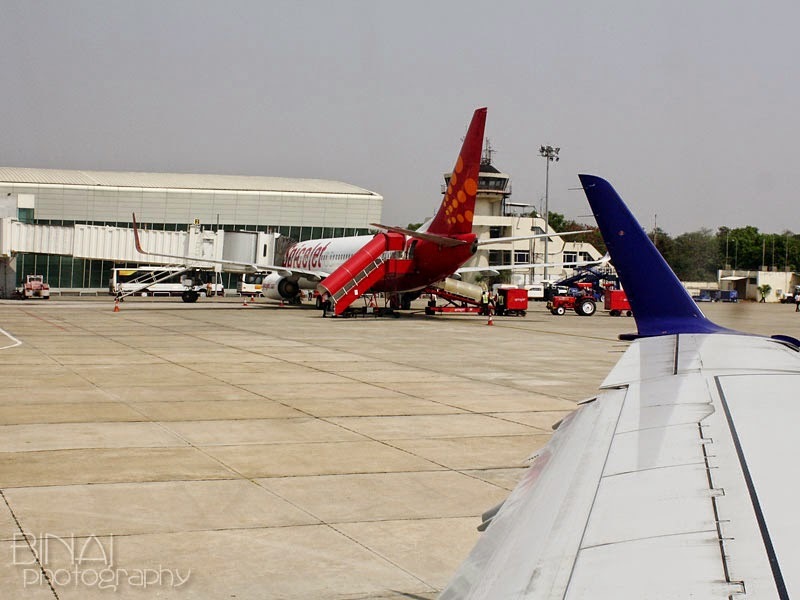 An announcement was made that passengers continuing to Hyderabad should remain seated, and that all passengers should alight through the front exit. I was out of the aircraft by 1129hrs. There was a customary boarding pass check at the exit. New crew for the next leg were waiting outside. I was out of the airport by 1135hrs. This particular flight has two firsts for me - first time on an Embraer Regional Jet, and first time on Air Costa. So first about the airline - Air Costa. 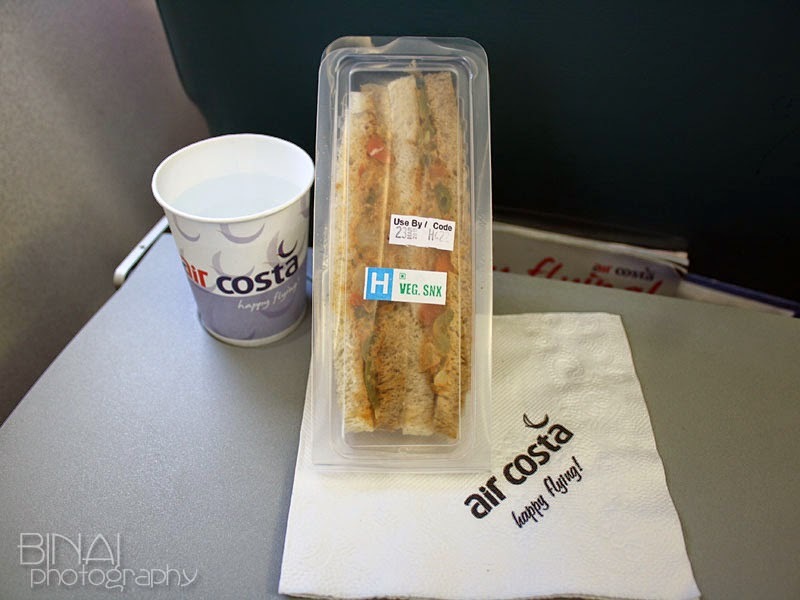 As mentioned earlier, Air Costa (LB) is a Vijayawada based airline operating as a regional operator. They presently operate 4 aircrafts - 2 each of E170 and E190s. The service on this flight was great - no room for complaints. They fly a very niche aircraft - a reason for higher operating costs. Air Costa tickets are usually above the average rates charged by other carriers. I liked their service, would love to try once again before passing a judgement. The Embraers are small aircrafts with turbofan engines. The E-170 are small medium range jets which can seat around 80 passengers. The Air Costa aircraft had a two class seating layout, totalling 67 seats. The particular aircraft, VT-LSR, was 2009 built. Embraers are generally regarded as silent and comfortable aircrafts. I did not perceive any major changes in sound (I was actually on an 'over the wing' seat - so cannot really comment). The seats were great - very comfortable. Leg room was adequate. The windows are big - but as posted earlier, the windows are arranged oddly. Being Jet Aircrafts, their cruising altitudes are higher and hence have shorter flying times compared to Turboprops. Overall, I liked the ride.